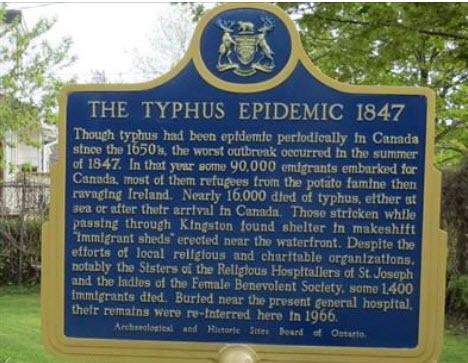 memorial plaque beside the waterfront in Kingston (St. Mary's Church). Archdiocese of Kingston, Ontario, 1976, Printed by Brown and Martin, Kingston (no ISBN). along the North Shore of Lake Ontario, as far west as Toronto, Hamilton and Niagara Falls. 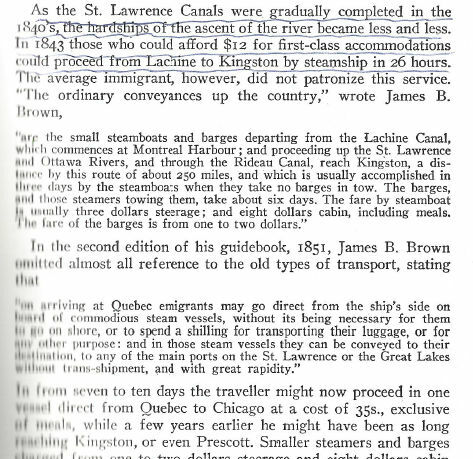 Some of the famine emigrants stayed here in Kingston and others moved up to the Ottawa Valley. 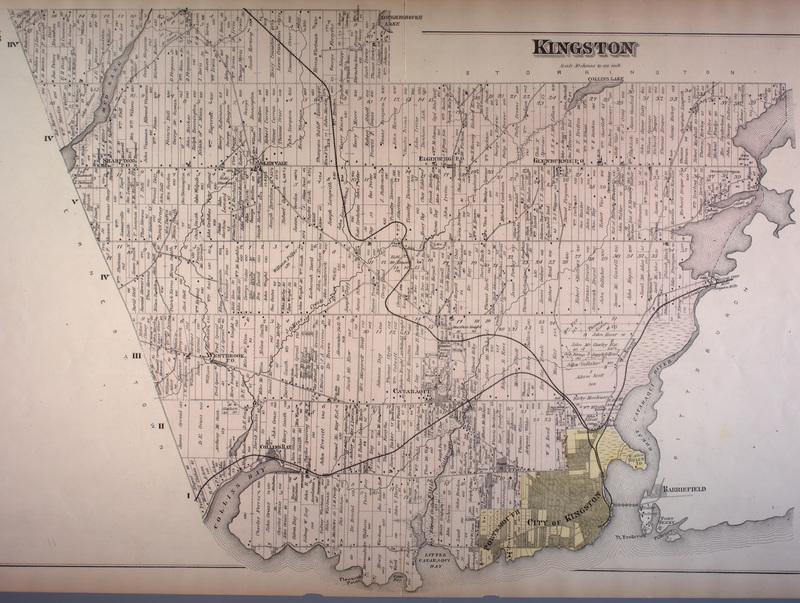 Here are names of some folks who came from Montreal to Kingston between 1845 and 1847. Most of these folks came with their families. Beside each name is the number of immigrants who came with each head of family. William Huntay  Was in Hospital three weeks. 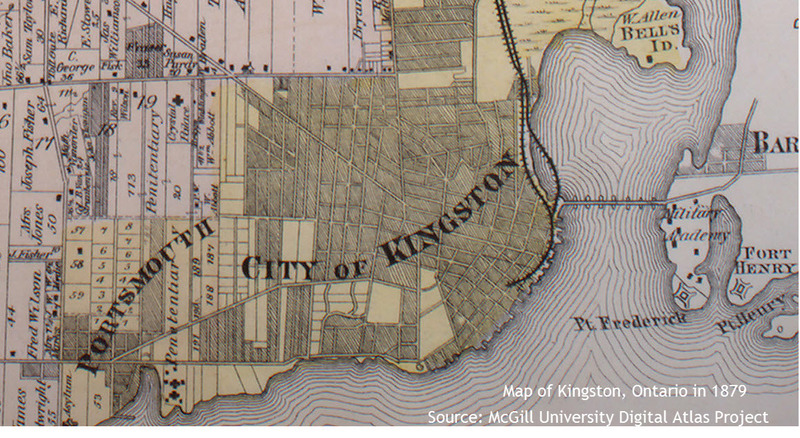 Buried a child there & is going to Kingston. Patrick Gahan (sometimes spelled here using the Gaelic "Geohagan"
from the Fitzwilliam Estate in County Wicklow to Kingston as late as 1854.